I ended week 3 stating that I was going to change my energy…in my defense when I wrote week 3, I was already four days into week 4 (shame on me for back dating the post). 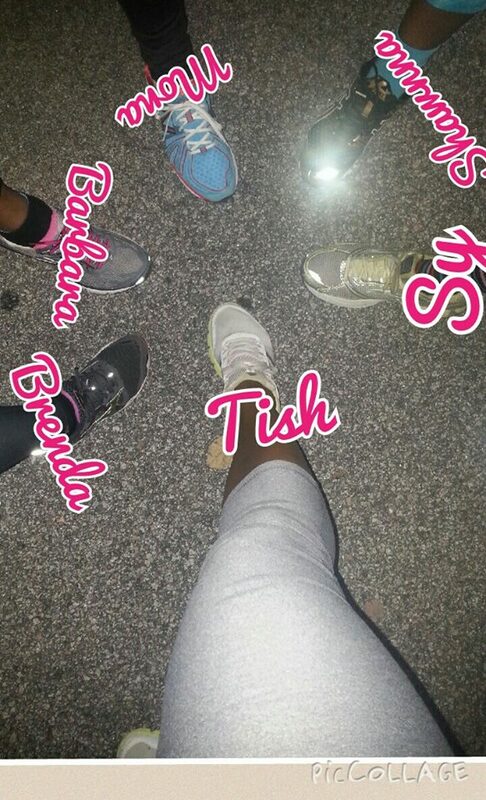 Well I did try to change my energy and woke up Friday morning and hit the pavement with BGR! Team 5:00 am on the Northeast side. I got in five miles at a nice pace (8’05) with the ladies. I really felt great that morning. Nice little run to prep me for my long run on Saturday. 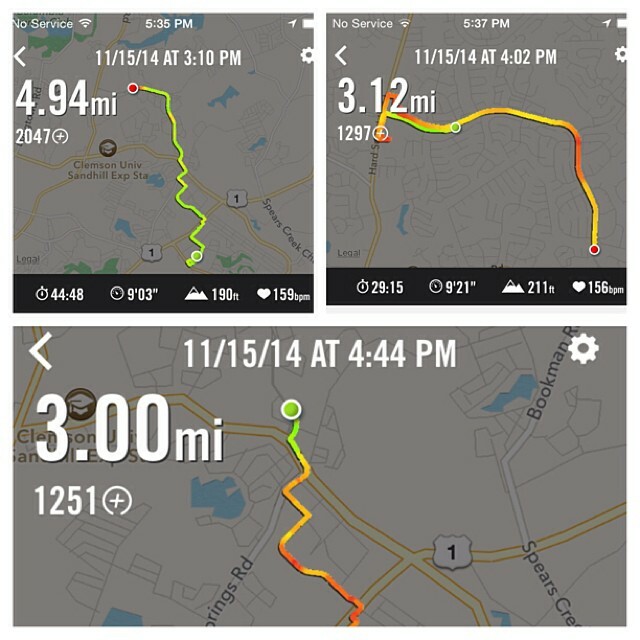 Since the temperature was expected to be in the low thirty’s on Saturday I made up my mind to go run around 3:00 pm. I started the run out feeling great. I was rolling (well actually running but you get the point). 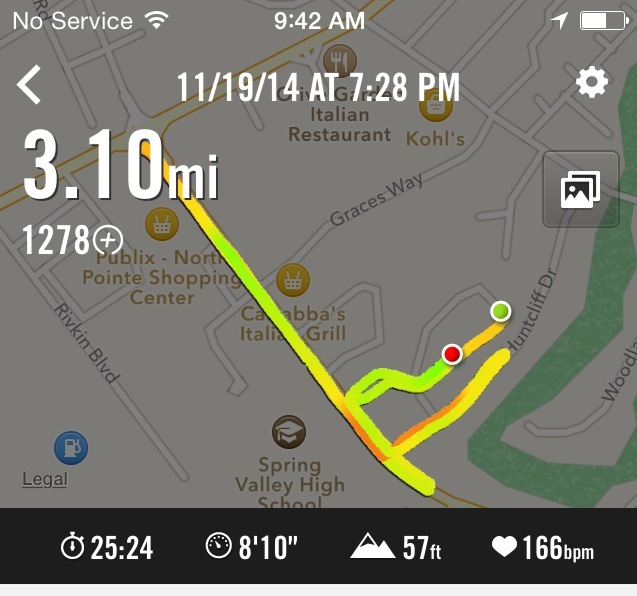 I was beastin’ those hills on Summit Parkway. As I was running, something told me to look down at my watch to check out my pace and mileage (because I had only planned to run 7 miles out and turn around to head back). I looked down and noticed my time was moving but my mileage had stopped at mile 4.94. WTF!!! You know what, fudge that, I didn’t let that get me down (in the past that would have really messed me up because I’m all about that pace about that pace) and continued to run. Well it did it again (justifies my need for a new watch…sooner rather than later)….now at this point I’m just ready to throw in the towel and just walk the rest of the way home….but man I still had about six more miles to go. So reset the watch once again to run the last 3 miles home. I chopped this long run up as a major fail and only did 11 miles instead of the 14 miles that were planned. I’m really trying not to be to hard on myself because at least I got out there to run. Week 5 didn’t start off as good as I was hoping. 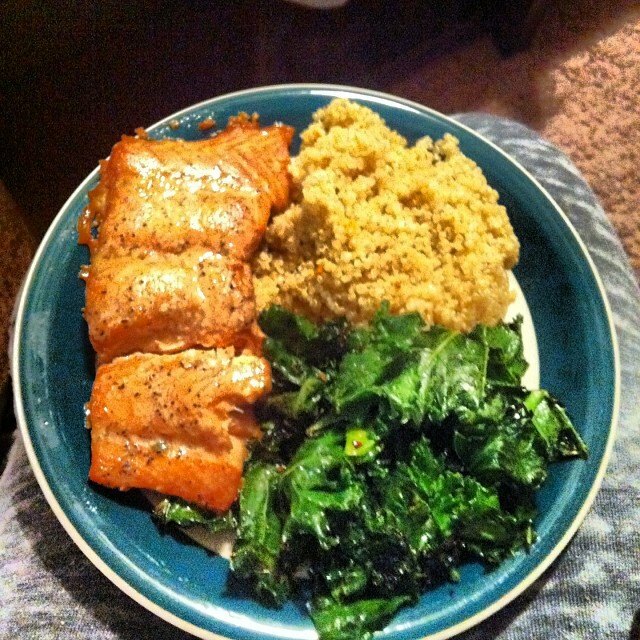 Sunday evening I baked some salmon and prepared quiona and sautéed spinach as sides. What happened next could have landed me in the hospital. Man about forty-five minutes later I felt like I was going to die. It felt like food poisoning (I remembered a friend telling me about their experience years ago). So I googled food poisoning and noted I had a few of the symptoms. Needless to say I slept very close to the bathroom that evening. I think I was more upset with having to throw away the rest of my salmon. Dinner was so good that evening. I did manage to get back out on the pavement a couple of days later. On Wednesday evening, I headed out about 7:30 pm. Since it was so late I decided to just get in a quick 5K and run closer to home. Back and forth up the main road for 3.1 miles. It was a nice run just very boring. On Thursday, I met up with Tracy for a run after work. I wasn’t expecting what she had in store for us but it sure was a great workout overall. Her goal for us was to warm up at a steady pace for 30 minutes and then do 4 mile intervals at her marathon pace (mind you I don’t have a marathon pace (never want to run a full) but her marathon pace was 8’30) and then finish up with a 25 minutes cool down. I think I was just glad to have someone to run with. 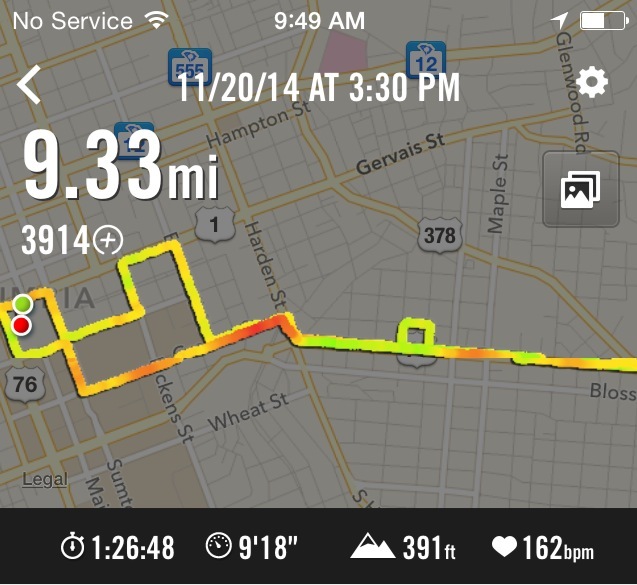 I only ended up doing 9.33 miles because I stopped knowing I still had five more minutes of the cool down. I figured I would have just made that time up by running back to my car, which was about a mile away. But Tracy ended up giving me a ride to my car, so I wasn’t able to get my ten miles in. Oh well I didn’t really have a plan at all for Thursday’s run so I’m very thankful for Tracy and her training plan!!!! My long run Saturday turned into long run Sunday because of my 5K on Saturday. Even though I didn’t get my recommended mileage in for the week, week five wasn’t a total bust. I felt great every time I did go out for a run and am really looking forward to week 6. 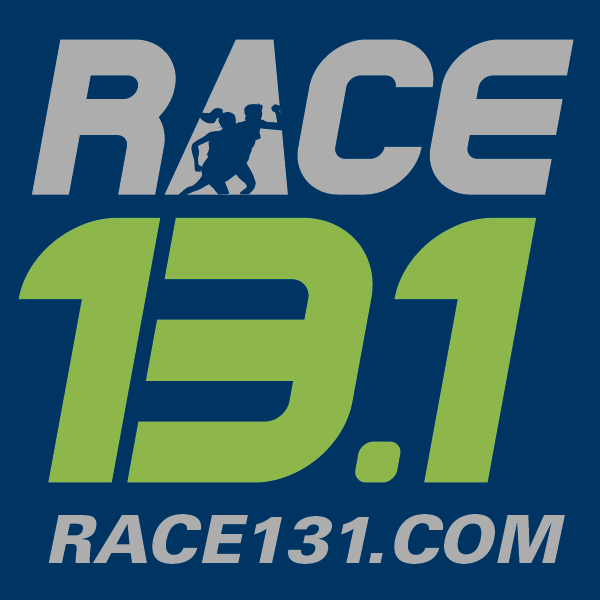 Two more weeks to go before my next half marathon!!!! Previous Article Week 3: Another Crappy Week!! !